The long lost music video to The Beastie Boys' 2009 single "Too Many Rappers," featuring Nas, surfaced online this past Sunday. The video was discovered on Neal Usatin's website, a film director who worked closely with the group for a few projects. An Irish Beastie Boys fan named Eoin McLernon made the discovery and announced it on the group's message board. The song is featured on the group's last album Hot Sauce Committee Part Two, which was released in 2011. The self-produced track features their classic rap and rock fusion that brought them much success. The pioneering rappers boast about lyrical prowess while telling other rappers to step their game up. Nas raps in the hook, "Too many rappers, and there's still not enough MCs." 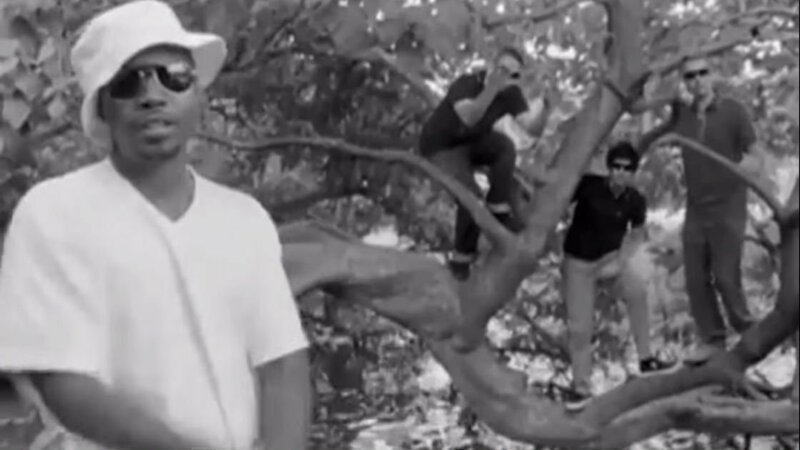 "Too Many Rappers" was one of the last videos the group shot before band member, MCA's death and the group's disbandment. The low-bugdet video was shot by frequent collaborator Roman Coppola and features the band and Nas rapping in grocery stores, public parks as well as shots from their 2009 Bonaroo Music Festival performance, which happened to be the last public performance in their storied career. Purchase Hot Sauce Committee Part Two on Amazon (Vinyl, CD, MP3) and iTunes. For more music, news, videos, and tour dates from The Beastie Boys, visit their Zumic artist page.